The World Series of Poker has made additional announcements regarding the 50th Anniversary of the Series. A total of 73 events has now been confirmed for WSOP 2019 Schedule. All No-Limit Hold’em events at the 2019 WSOP will be adopting a big blind ante only format, according to a press release from WSOP on Wednesday. 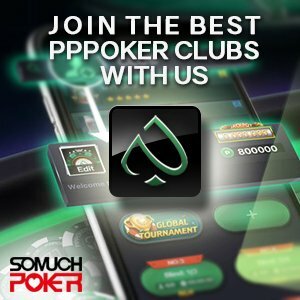 This announcement puts an end to disputes about who has placed their ante and who has forgotten to and speeds up the process of playing each hand. The WSOP experimented with this format in 2018 and it has proved popular and successful. The press release from the WSOP stated: “The BB-ante is a fundamental rethinking of what the ante is. The ante in this format is no longer a specified amount that each player pays each hand. It’s now a specified amount that each player pays per round”. In addition to this change, many events will now see players starting with larger chip stacks too. The announcement made by the WSOP on Wednesday not only confirmed the inclusion of established events which everyone expected but also detailed the addition of a surprise new event. The invitational tournament will be open to all players who have ever won a WSOP bracelet, including those that are won during the 2019 series. Buy-In is set at $1,500 and format is No-Limit Hold’em. The new event was introduced as part of the 50th anniversary celebrations of the WSOP, bringing the total number of events now officially scheduled up to 73. There will of course be more announced in the coming weeks. In addition to the bracelet winner’s event, all the $10k events for the series have now also been announced. Following the current popularity trend of short-deck Hold’em, the WSOP has added a short-deck $10k event to their schedule. The game involves cards with a value of 2-5 being removed from the deck, meaning the players make stronger hands more frequently. As a result of the changes in the deck and the probabilities of making certain hands, flushes now beat full houses. An ace can also be used as a 5 to complete a straight. Players will start with 300,000 chips and blind levels lasting an hour. Another schedule highlight in celebration of the WSOP’s 50th anniversary is a $50,000 buy-in No-Limit Hold’em tournament. The event is scheduled across 4 days. Players will play one-hour levels and start with 300,000 chips. All of the usual $10k events have also been confirmed to appear this summer.